Jumper by INCLUDE: fashionable style, first-class quality. 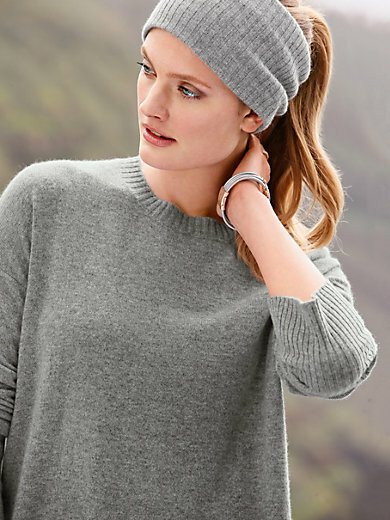 You can wear this jumper with or without the ribbed roll-neck. Casual style with slightly flared, ribbed cuffs, 2 patch pockets and rolled edge at the hem. 100% cashmere made of premium quality 2-ply yarn. Length approx. 26ins. The jumper should be washed by hand.